InStyle magazine deemed Yves Saint Laurent's Gommage Natural Action Exfoliator as a Best Beauty Buy! YSL's exfoliator was chosen as the best facial exfoliator for normal skin. This natural action exfoliator enhances radiance and pureness of the complexion without abrasive particles. The formula combination of sugars and ultra-soft surfactants eliminate impurities and dead cells, while plant sugars and ultra-fine oils act in harmony with the skin without altering the surface. Skin is left relaxed, purified and replenished. N.Y.C. dermatologist Jeffery Weinberg explains why InStyle prefers this particular exfoliator over the rest, "This gel turns slick with the heat from your fingers and exfoliates with fruit acids, not abrasive granules. Rinsed off with warm water, it leaves skin silky." 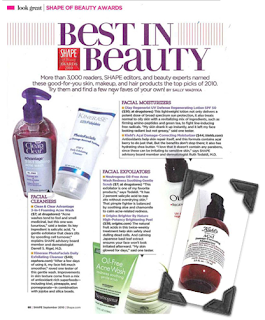 Shape magazine's Best in Beauty Awards chose Kiehl's Açaí Damage-Correcting Moisturizer as a top pick of 2010 for facial moisturizers! It is no surprise this antioxidant-enriched, non-greasy moisturizer made it to the top of the list! Açaí Damage-Correcting Moisturizer helps skin repair the visible effects of oxidative environmental stress while minimizing the appearance of fine lines and loss of elasticity. Skin is visibly renewed, smoother, and more even-toned. Shape magazine noted that they especially love this moisturizer because "it doesn't contain any parabens, which can be irritating to sensitive skin." Come to Blush to get a sample of Kiehl's Açaí Damage-Correcting Moisturizer today! Jane Iredale's Sunbeam and Moonglow Quad Bronzers are made with 24-Karat gold flakes that give a soft shimmer. These Quad Bronzers are ideal for use on the eyes, cheeks, and lips, or as an all-over bronzer. With four luxurious shades to choose from, you can easily highlight and contour all at the same time! Jane Iredale explains how to use the Quad Bronzer for a sculpted face: Apply a lighter base to the center of the face (include eyes and around the mouth, but not the nose), a darker one on the outside perimeter, and then the bronzer. This pulls the center of the face out and mimics the effect that a key light would have. It's a very effective way of adding definition and a trick often used by TV and film makeup artists. Jane Iredale also explains how to use Sunbeam or Moonglow to highlight and contour. Apply the lighter shades to bring light to the high points of the face: cheek bones, brow bones, or places where you need to add light such as the inner corner of the eye. Apply the darker shades as a contour under cheek bones and along jawline; or around the perimeter of the face to add warmth. For a red-carpet look, dust onto shoulders and décolleté! "Top Makeup Artist Reveals Her Skin-Perfecting Secret Concoctions!" New York makeup artist Jordan Long explains, "Lightly apply to the top of shoulders and above chest. I sweep what's left over on cheekbones and underneath the brow. It catches the light in a beautiful way and leaves skin with a subtle sheen." 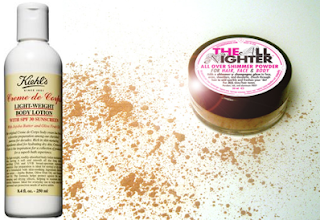 Long uses Kiehl's coveted Creme de Corps Light-Weight Body Lotion and mixes the cream with a highlighter. For a champagne glow try The All Nighter All Over Shimmer Powder. Glowing skin is the perfect accent for the holiday season! What is top model Coco Rocha's skincare secret on and off the runway? Yves Saint Laurent's Flash Radiance Skincare Brush! "There is this new product! It makes you feel radiant, when you might feel tired. Voilà!" Instantly erase the signs of a fast-paced lifestyle with YSL's Flash Radiance Skincare Brush. This complexion perfecting primer wipes away signs of stress and fatigue in a flash using Grains of Paradise and Caffeine. Light-reflecting micro-pigments capture light to mask imperfections and brighten the complexion. Wheat proteins and Oat sugars leave the skin feeling silky-smooth and exceptionally even. YSL's Flash Radiance Skincare Brush leaves your skin fresh and primed for makeup application. Or try their Pore Refining Skincare Brush. This multi-tasking primer controls oily shine and lessens the look of pores. Salicylic acid eliminates dead cells that dull the complexion while Peptide extract from hazelnut gives a skin-smoothing effect by boosting cell renewal. Seaweed extract and Silica control shine and absorb oil leaving skin ready for a flawless makeup application. Get gorgeous with the help from Blush and InStyle magazine! 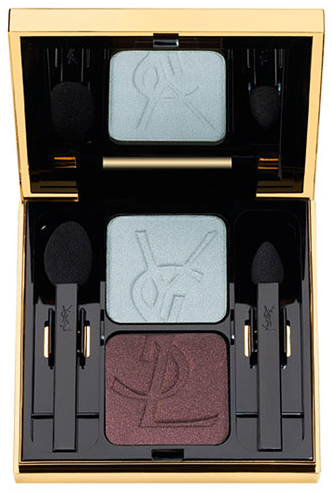 Topping the list of Fall Beauty Trends 2010 from InStyle is green eye shadow. Learn how to wear fall’s hottest new shades here at Blush! 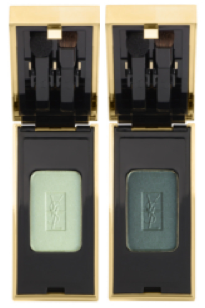 YSL offers a variety of green eyeshadows including their Ombres 5 Lumieres in Garden of Eden or their Ombre Solo in Garden of Eden or Slate Green. 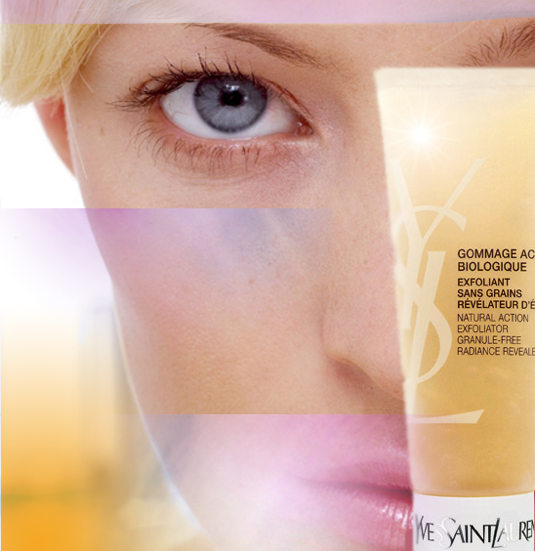 Or try YSL's creamy, water-resistent Fard Lumiere Aquaresistant in Golden Fern. 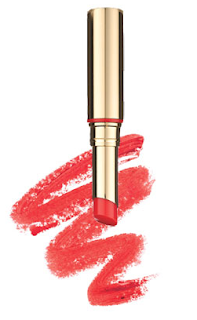 The long-lasting, luminous color can be layered for high color impact or worn sheer and soft. When wearing a green eye shadow, InStyle suggests "keeping the shade below the crease of the lid to avoid looking overdone, and reach for a brown liner for definition. 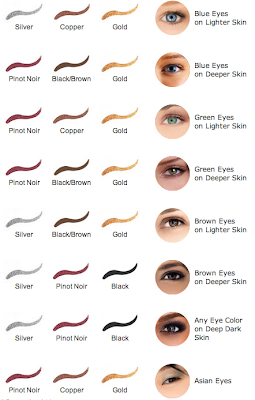 A smudge under the bottom lashline can also have subtle impact." Yves Saint Laurent Holiday 2010 is here at Blush! With new colors and limited editions - this collection is a holiday must-have! The Palette Metallic Colorama Compact is a lightly shimmering pink champagne shade that gives a cashmere-like, satin feel for skin that looks soft and radiant. Touche D'or is a limited-edition Golden Touch Highlighter for the face. The beautiful golden shade can be used to highlight the complexion and the neckline, on the cheekbones or decolletage. 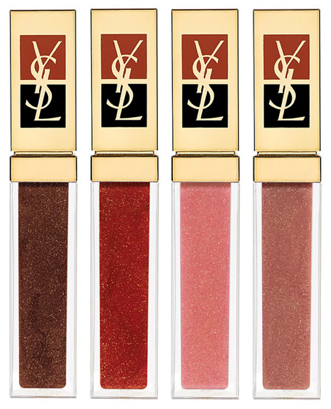 YSL's Holiday Collection introduces new colors of Golden Gloss, Pure Shine lipstick, and Ombres Duolumieres. 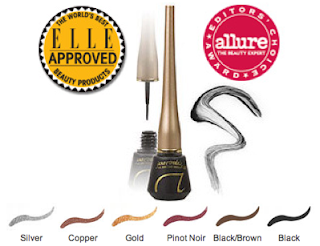 Their number 1 selling mascara - 'Volume Effect Faux Cils' - is featured in a fashion forward plum shade. 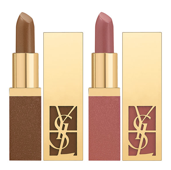 Come get gorgeous for the holidays with YSL at Blush! Jane Iredale's award winning liquid eyeliner can help you get the perfect eye you are looking for! This amazing liquid eyeliner contains no irritating chemicals and is made with highly pigmented iron oxides for saturated color with real staying power. Essential oils help nourish the skin and prevent drying while the specially designed brush has a long handle to allow easy and controlled application. Available in six gorgeous colors! 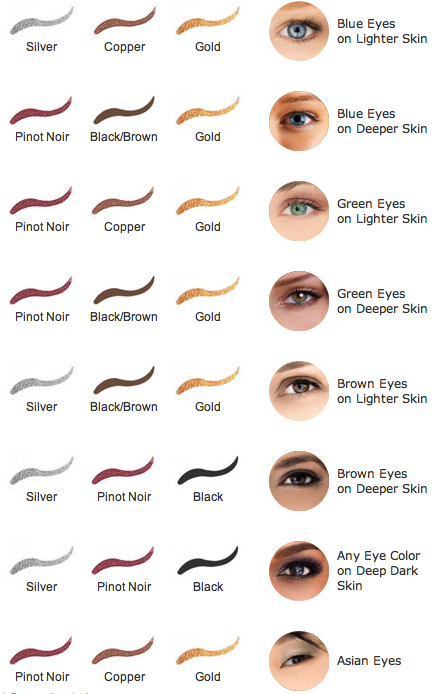 Jane Iredale even offers a Color Guide to ensure that you get the best shade for your eye color. So, whether you are looking for a soft and natural eye or want to look retro-glam - Jane Iredale's liquid eyeliner is a must-have for your makeup bag! Prevent dry winter hair and keep your hair healthy and shiny all season long! The cold dry air outside and indoor heat can wreak havoc on your hair. Pamper your strands with a Kiehl's Hair Pak. All hair types can benefit from a moisture boost. Choose from Kiehl's Olive Fruit Oil Deeply Repairative Hair Pak or their Sunflower Color Preserving Deep Recovery Pak. 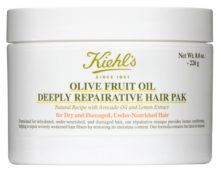 Kiehl's Olive Fruit Oil Deeply Repairative Hair Pak is formulated for dehydrated, under-nourished, and damaged hair. The repairative masque provides intense conditioning, helping to repair severely weakened hair fibers by restoring its moisture content. 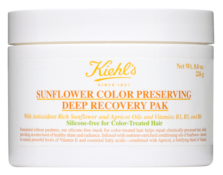 The Sunflower Color Preserving Deep Recovery Pak is formulated for color-treated hair to help repair chemically-processed hair, while providing an extra boost of healthy shine and radiance. Consistent use of Kiehl's Hair Paks will prevent future damage from environmental stresses and other external abuses to keeping you looking fabulous all winter long! Become your own personal Picasso using good quality makeup brushes. A great set of makeup brushes are essential when trying to achieve the perfect look. Knowing how to use your brushes can mean the difference between a completely flawless face and an unpolished look. The right brushes help to apply foundation to create a smooth and even canvas, for blush to hit just the right areas, and eyeshadows to blend effortlessly with each other. 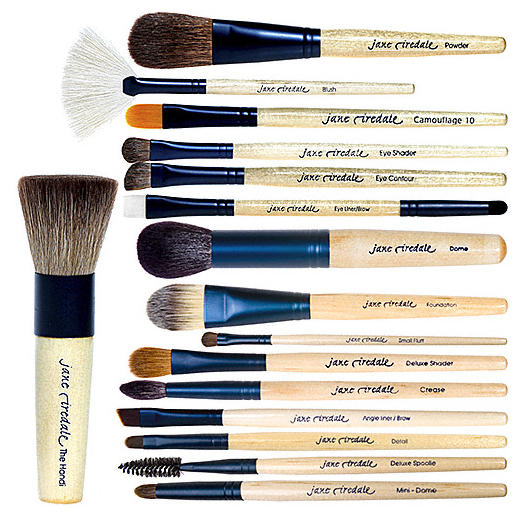 There are many differences between brushes from the head shape to size to bristles. Understanding the importance of makeup brushes is a necessity for a flawless makeup makeup application. Jane Iredale makes this easy for you. Their brushes are composed of the finest natural materials available. They are designed to be both effective and gentle. Stop by Blush to learn more about using the right makeup brushes and become your own personal Picasso today! New nail polish is fall 2010’s most wanted beauty accessory! Topping the charts are Purples, Metallics, Neutrals, and Gem Tones. This season’s holiday nail polish collections are packed full of glitter glam polishes which is perfect for party-ready nails! And we are not the only ones going “gaga” for nail polish. One of Deborah Lippmann’s newest colors is Bad Romance. Inspired by Lady Gaga herself - Bad Romance is “Gaga blackened fuchsia” with glitter. Or go with the top fall nail polish trend: Purple. Try YSL’s nail polish in Belle de Nuit. No matter which trend you pick this season let Blush help you nail the right color! 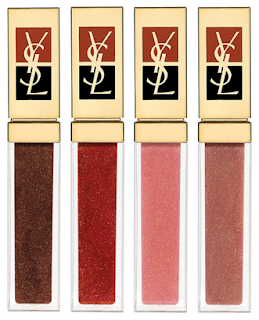 There are many reasons why we LOVE Yves Saint Laurent's Gloss Volupte! For starters - you can wear Gloss Volupte over your favorite lipstick to give exceptional shine while increasing moisture 30% within the first 30 minutes of application. Or you can wear this "Lazy Girl Lipstick" solo to get sheer color with a non-stick shine - ALL while increasing hydration. A winter must-have! Available in 8 mouth-watering shades. But we are not the only ones who love this amazing gloss stick. Gloss Volupte #7 - Tangy Orange - was recently named "Best Sheer Lipstick" in Allure's October '10 issue as an Allure Best of Beauty winning product! Lucky magazine recently featured "The 10 Best Beauty Products of the Past Decade" and Gloss Volupte was the first product on the list! "The brightest but sheerest balm - wildly flattering, smells fantastic, and you don't need a mirror to put it on." Need we say more?! "I will never go outside without makeup! For me, it's like taking a shower. I use Yves Saint Laurent everything - and always heavier on the eyes than the lips." Come get the same look as the beautiful Roxane Mesquida here at Blush using YSL!